Our School Council are a very important part of our school. Each year each class elects someone from each year group (from Y2 to Y6) to represent the class at the school council meetings. 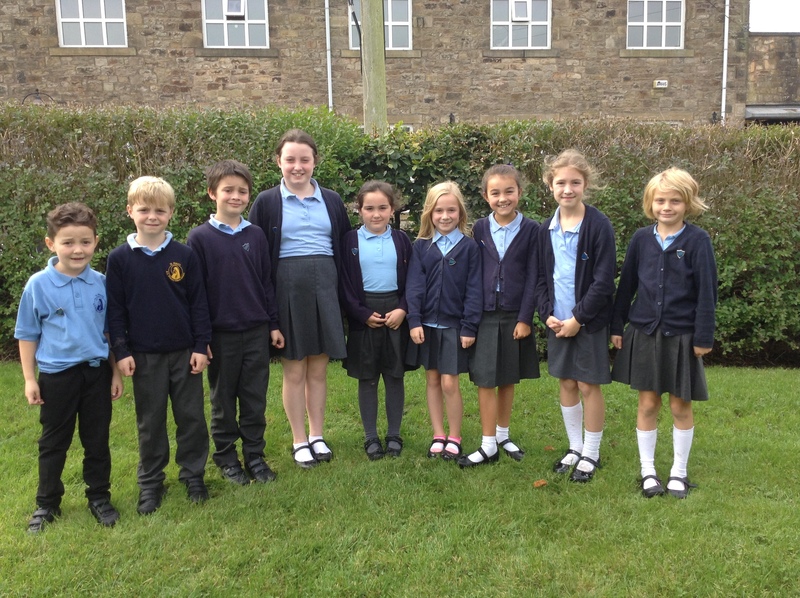 The School Council meet regularly with Miss Taylor to work on projects and discuss ideas that the children may have. The council also spend a lot of time talking to all the children in the school to make sure they are representing the views of the children in their class. We are thrilled to say that we raised an amazing £550 at our Easter Fair. As a School Council, we decided to use the money to buy books for each classroom, playtime equipment for inside and playtime equipment for outside. We ordered lots of books for each class- a mixture of fiction and non-fiction. Once they arrived, we created special boxes (one for each class) and we sorted the books into each box and created a card to explain what they were. We explained that they were a gift from the School Council and therefore we delivered them to each class to present them to them as a gift. The children have been told to enjoy them and enjoy reading! The School Council ordered a mixture of playtime equipment. It is a mix of hoops, balls, bats and catching equipment. Before it was shared with everyone, the School Council created a guide to each piece of equipment to show them how it should be used along with rules for everyone to follow. The equipment will be shared and shown to the children in an assembly after the half term holidays. We are very excited to share it with the whole school and of course start playing with it! The Council are very active throughout the year and particularly like to help with fundraising and charitable work. Over Christmas itself they raised money by making and selling treat bags and by organising and running a colouring competition. They work very hard and are more than happy to give up break-times to ensure that all their events go without a hitch. Earlier in the year they organised a Christmas Shoebox collection. They wrote a letter to the children explaining the work of Operation Christmas Child and asked children to bring in filled shoeboxes. They helped to sort the shoe boxes once they came in to school and were very impressed with the genorisity of our children and families. We’re sure that children around the world will be extremely grateful for their presents! The children all helped to load miss Taylor’s car with the boxes ready for them to be dropped off and would like to thank everyone who has helped and donated boxes and items, ensuring that this year’s collection is a success. Just before the Easter break they organised a fabulous Easter Fair. It was an amazing event, the children organised everything themselves and we took lots of wonderful photos.